So earlier today, I went to the mall to get a few Mother’s Day gifts- one for my mom and one for my aunt. I ended up purchasing this, so if you need a belated Mother’s Day gift, you should check it out. Anyways! I knew it was going to be hot today because my room was blazing and it reflects what it’s like outside since our AC is still broken. With that in mind, I decided to throw on a cool shirt and some shorts. 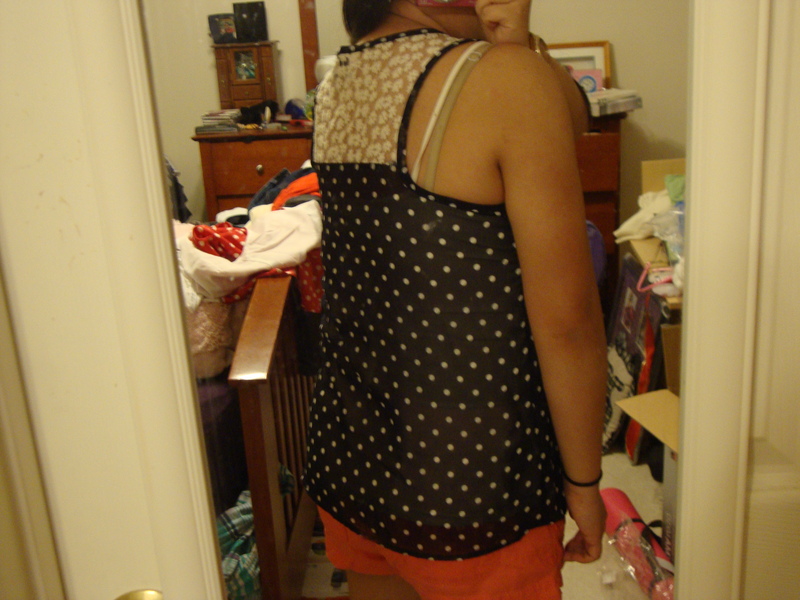 If you read my latest haul post, you’ve already seen this top. 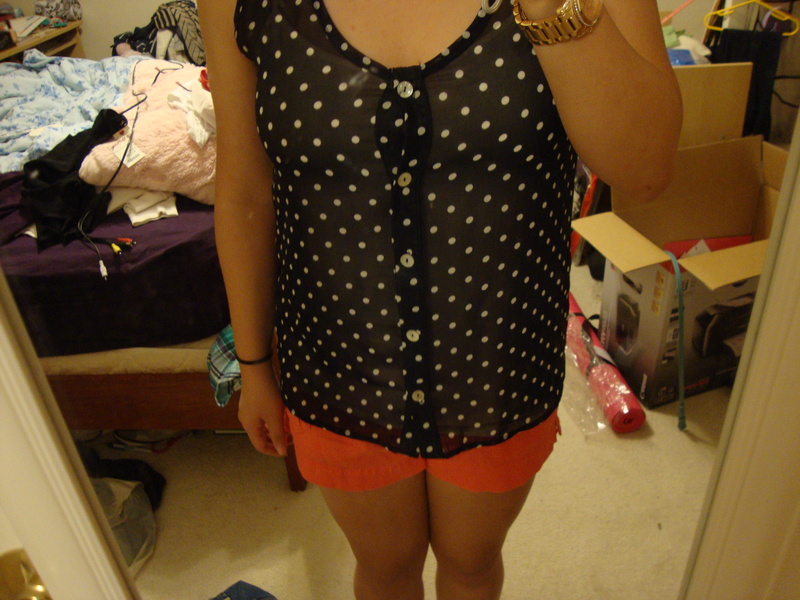 As for the shorts, I don’t wear these too often, but I thought that the coral would look really cute with the navy (see a different outfit with the same color combo here). I actually chose to wear these shoes because I need a pedicure xD If my toes were presentable, I would have worn flip flops. In the end, I’m happy that I wore these shoes. Obviously, they are more comfortable for walking, but besides that, I liked the overall look. 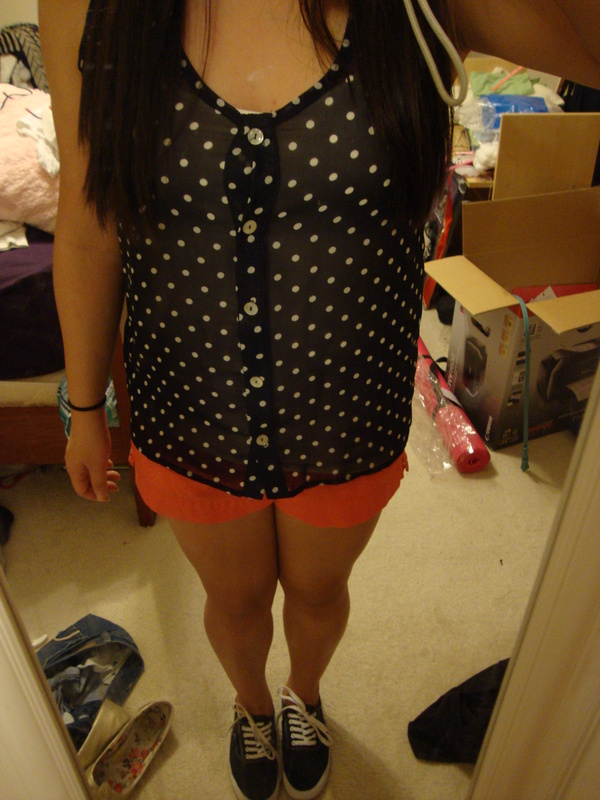 While the top and shorts are fairly girly, I felt that the shoes added a little bit of that skater look to offset it. Idk if that made sense, but whatevs. Anyways, that’s all of this OOTD! I hope you enjoy it!